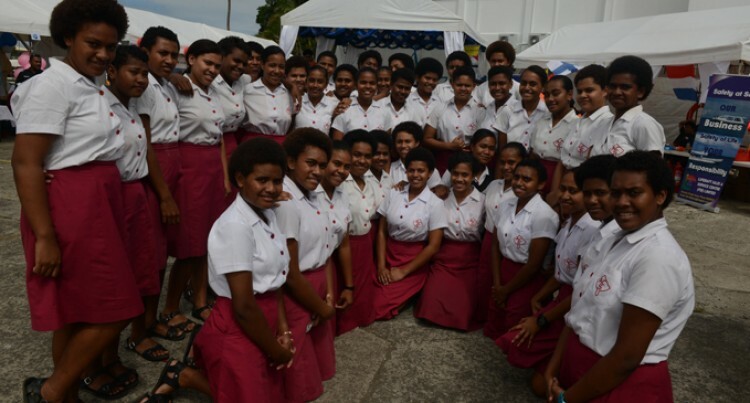 Adi Cakobau School students at the International Maritime Day Celebrations and the Maritime Careers Exposition 2016 at the Fiji Maritime Academy, Laucala, Suva. n Photo: Paulini Ratulailai. The Maritime Industry plays an integral part in Fiji’s building initiatives. The theme of this year’s celebration according to Mr Bala is “Shipping Indispensable to the world” re-emphasises the importance of maritime industry. He said it was generally seen in contemporary times, people all over the world relied on ships to transport commodities, fuel, food items, goods and products which helped sustain their living. Maritime transportation according to Mr Bala is the backbone of trade worldwide and this also opens avenues for markets around the globe. Sea freight he said provided an avenue for competition costs as were much lower than airfreight costs. Every year IMO celebrates World Maritime Day and the exact date is left to individual Government but it usually celebrated during the last week in September. Emanating from the IMO, there are regulations that are followed by member countries worldwide and these contribute towards improving maritime safety and the protection of the marine environment. The International Convention for the Safety of Life at Sea (SOLAS) for the prevention of accidents, including standards for ship design, construction, equipment, operation and manning. The International Convention on Standards of Training, Certification and Watchkeeping for Seafarers (STCW). When it comes to the Maritime Industry, he personally believes that the congregation of stakeholders from the industry which also includes Educational Institution such as Fiji Maritime Academy (FMA), Fiji National University (FNA), University of the South Pacific (USP) and the Ministry of Education will make a significant difference in terms of public awareness, provide insight for those seeking employment in the industry and those that are yet to make their minds in determining a professional career. The celebration he said would include career oriented displays, focused discussions and insight into respective organisations by the various stakeholders which would be an avenue for students, teachers and industry stakeholders to mingle and forged alliances. 5)Celebrating the achievements of the maritime sector.